1. Sinus Care –Inhaling diffused peppermint oil can oftentimes immediately unclog your sinuses and offer relief to scratchy throats. Peppermint acts as an expectorant and may provide relief for colds, cough, sinusitis, asthma, and bronchitis. 2. Joint Therapy –When your joints get achy, applying some pure peppermint oil mixed with lavender oil can cool muscles like an ice bath, but help you to stay warm and dry. 3. Reduce Hunger Cravings –Inhaling peppermint essential oil can stave off the munchies and can help you feel full faster. If you can’t have a diffuser with you at dinnertime, try applying a couple drops on your temples or chest, or take a couple of deep sniffs from the bottle. 4. Natural Energizer –For a non-toxic alternative to dangerous energy drinks, take a few whiffs of peppermint. It will perk you up on long road trips, in school or any other time you need to “burn the midnight oil.” For those with chronic fatigue syndrome, peppermint oil may improve focus and concentration. 5. Allergy Relief –Peppermint oil is highly effective at relaxing muscles in your nasal passages and can help clear out the muck and pollen during allergy season. 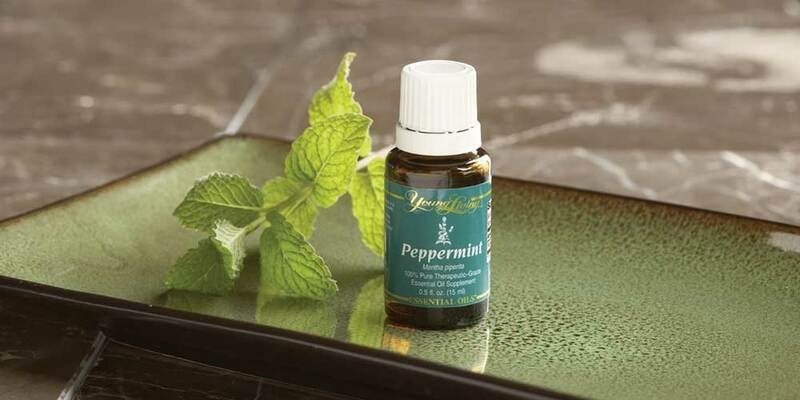 Diffusing peppermint along with clove oil and eucalyptus oil can also reduce allergy symptoms.